I did take my camera on a little stroll through the yard. Sadly, our garden has been severely neglected this summer as we've been so busy with work. I did manage to find this lovely little daisy though. Such a pretty flower! Can't wait to see more from the photo shoot!! LOVE the wide open aperture. Nice work! 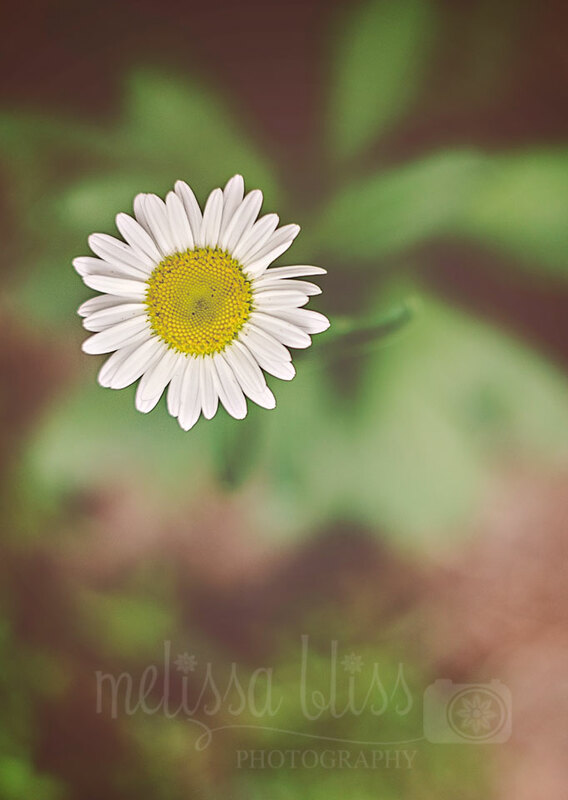 Such beautiful simplicity in this image, Melissa. We had hot and humid all weekend too, but then last night with no warning, we had 4.5 inches of rain in just about an hour. With the exception of our basement, we are okay, but I have truly never seen anything like it. Flowers never fails to mesmerize me. Their beauty when photographed are always captivating.